We have parking lots on both sides of the restaurant with additional parking on the street across from the restaurant. Penndel train station, minutes away, have dinner at Bella Tori then take the train into the city for a show. 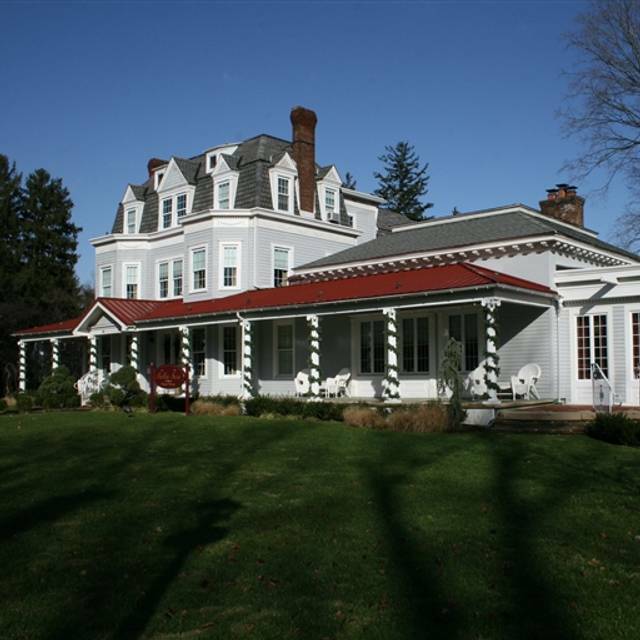 Welcome to Bella Tori at the Mansion, fine affordable dining in an elegant historic mansion. Established in 2005, we are a local family-owned restaurant. 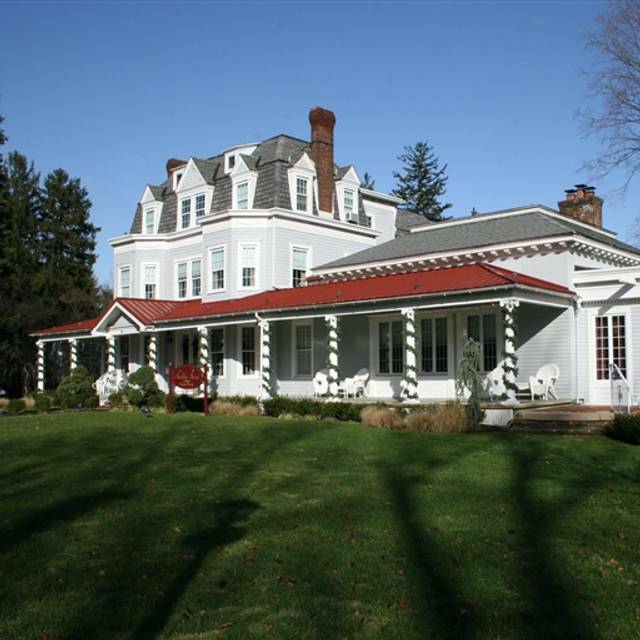 Our restored Victorian Mansion showcases some of the beautiful historic architecture that characterizes Langhorne Borough, and our well trained staff will ensure your visit will be a memorable one. The service was very good and the host bent over backward accommodate us. The food was tasty. I will certainly go back. Martini and drink came out with rotting fruit! $12 for a drink and it has rotting brown lime and orange! Rolls were very good and fresh! Butter hard and cold, not easy to spread! Pork chops were great and chicken parmigiana! Desserts as made by pastry chef! Looks like it but does not tase like it! Not good at all. Cannoli cake was dry and noting like a cannoli. Chocolate mouse cake was dry and not flavorful. Beat part was mouse, whip cream and raspberry drizzle on plate. Not worth eating or paying for it and we love dessert! Good dinner but not worth prices for drinks and dessert. Service was just ok. One girl was on her game! The one guy as our server was not really attentive. Took our salad plate and our drinks were empty. Why not get us new drinks before you leave our table and return 10 mins later. Thank you for taking the time to let us know how you enjoyed your recent visit to Bella Tori. To clarify, we use organic fruit for our cocktail garnishes and the skins can sometimes be blemished, but not rotting. Had you mentioned your concerns to the manager on duty he could have explained. In addition, our Pastry chef makes all desserts in house in a European style and are very popular, we're sorry to hear you didn't enjoy your selections, the cannoli cake is one of our best sellers. Venue is very pretty but unfortunately we were told they had a party in the next room & that was why are food didn’t come for one hour & 25 minutes. So glad we could help make your gathering a special one! I would have given them an overall grade of outstanding if if we didn't have to wait about 15 minutes to be seated even though we had a reservation and no one was waiting ahead of us. We then had to wait almost another 15 minutes at our table before we saw our server. Fortunately everything ran smoothly after that. Matt turned out to be an excellent server. he definitely helped to make it a pleasurable experience. Thank you for taking the time to submit your review and the 4 stars! We do ask for understanding from our customers as we sometimes have guests who stay a little longer than anticipated and tables that need to be reset which could require the next guest to wait for their table. 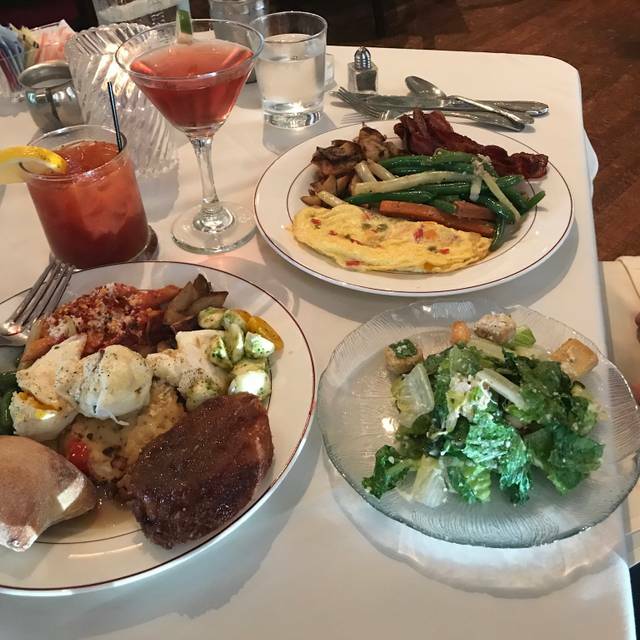 We're happy you enjoyed the overall experience and hope you join us again some time for dinner or brunch! Meeting with old friends... delicious! Special! Good for special occasions- nice classical ambiance. Some subtle nuances to their menu, but could use a bit more tweaking/upgrades for the price. Thanks so much for the feedback, we always appreciate suggestions presented by our customers! We're glad you enjoyed our brunch, it's very popular and sells out most every Sunday. 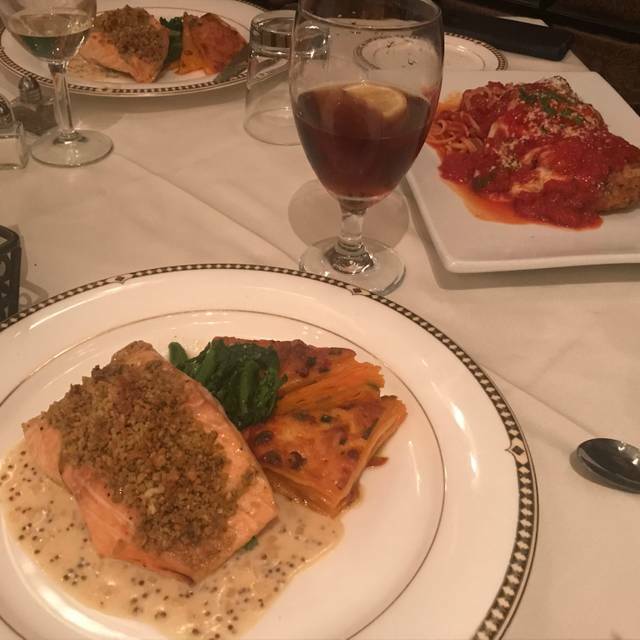 If looking for an upgraded menu we suggest you join us for dinner, which isn't a buffet but ala carte with additional nightly features from our kitchen. We were very impressed with the restaurant. Everyone was very friendly and answered our questions regarding the mansion and food preparation. The food was beautifully presented and delicious. The restaurant came highly recommended and did not disappoint. Thank you for the kind words and review, glad we could make our visit a special one. Amazing food in a very pretty atmosphere. Was there for the first time a few years ago and then again last week. We definitely won't be waiting so long to return this time. We were a party of 6 and everyone's food was great. thank you for the kind words, so glad you enjoyed your evening with us! My husband and I were pleased from the moment we entered. Very friendly atmosphere,was very warm and cozy.The serves could not be more excellent not for one moment.We enjoyed our dinner very much.The hi light was when our desert was served on a large plate with the words spelled out Happy Anniversary in chocolate.we can not say enough about our wonderful evening. 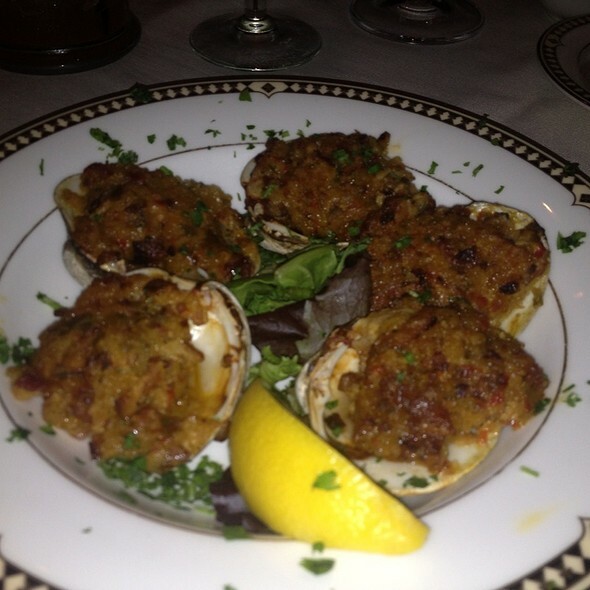 So glad we could make your evening a memorable one! Bella Tori is a wonderful neighborhood gem. Food is consistently good and plated well. The desserts are excellent. Bravo to the pastry chef! Ambiance at Bella Tori is elegant and welcoming. The fireplace is a plus. BT is a good value. Highly recommend. My girlfriends and I came for brunch and it was amazing! My favorite was the French toast but all of the food was delicious! We had some Bellinis and they were fantastic! I will be coming back with my mom on mother’s day!! There was a lot of parties which made it very loud. The service wasn't very good. Our waitress was very nice but not very attentive. Not enough parking, especially for handicapped vehicles. The desserts made the meal, they were awesome. 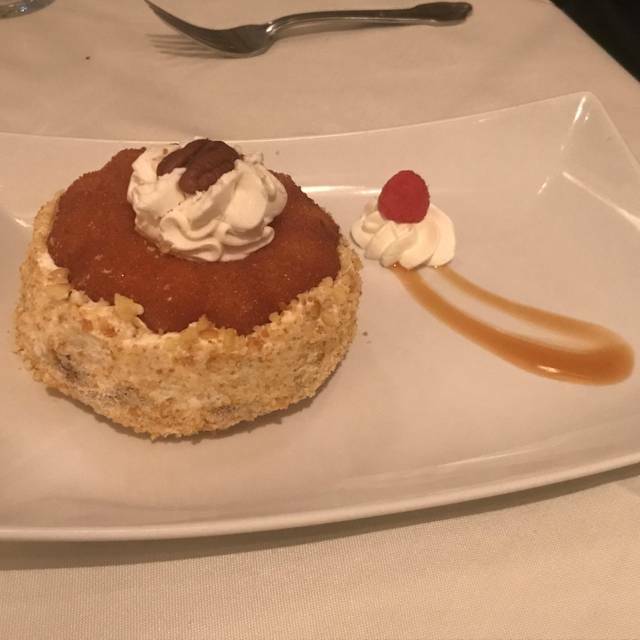 We're always happy to grant special menu requests when we can, if possible give us a call in advance to ensure we are able to, glad you had a good time! We had another great meal. The pork chop special is fantastic, so make sure you get there when the chef is making it. The dessert tray is never to be missed. Cannot wait to go back! We eat at the Bella Tori often and we are never ever disappointed! Recommend to everyone. My wife and I celebrated my birthday at Bella Tori's and the experience was wonderful. The food was exceptional, the service was superb. They even wrote "Happy Birthday" on my dessert plate in chocolate syrup. I would highly recommend this restaurant to everyone. One of the best Sunday Brunches in Bucks County. The food was very good, the service was pleasant and efficient, but, the high-point of the experience was the Mansion itself. Old building in wonderful shape, interior had interesting and beautiful wall hangings. 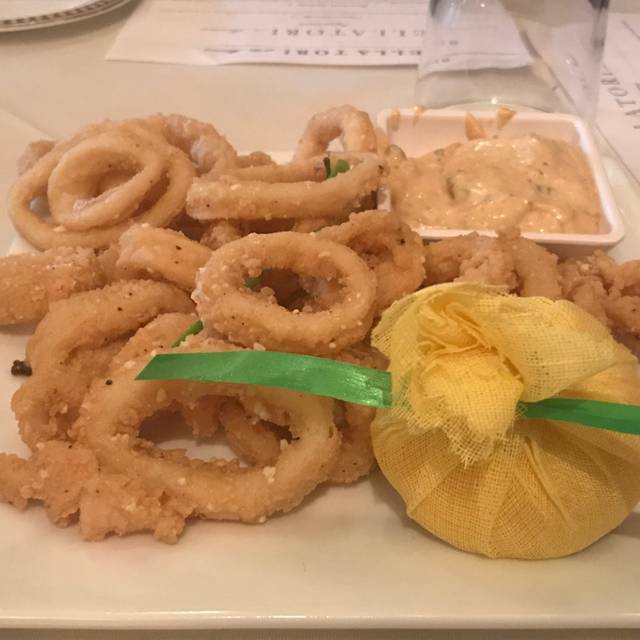 "Cold Table" was tastefully arranged with a wide selection including (seafood) smoked salmon, shrimp, whitefish salad, and (salads) Mixed Green, Caesar, Calamari, mozzarella , chicken. Breakfast items included very good French Toast, Blintz, and the typical eggs, bacon, etc. Individually made omelettes were well cooked and chock-full of ingredients. An ever changing "Viennese" Dessert table offered over twenty items at any time. We did not sample the hot luncheon items. Some thoughts: For those seeking additional lunch items, a Carving Station would be welcome. Some arrangement where the plates at the Breakfast Station would not be chilled by nearby outer door opening. We enjoyed the ambiance along with dinner selections. Our appetizer was delicious. Our server seemed to disappear for a long period of time. Bella Tori never disappoints and Valentine's day was no exception. They had selected the highlights of their menu for a special evening. From the perfectly cooked filet, to the sinfully rich chocolate dessert, it was a delicious meal. The subtle guitar music added just the amount of background to a wonderful night. Will be returning next year for Valentine's day. Very nice restaurant with decent service and good food and really nice music. A bit over priced but not so bad for a special occasion. The most romantic place to dine in the area. A go-to for a quiet dinner. We enjoyed another lovely evening with friends to celebrate a birthday. Last November we celebrated our 50th Anniversary with a large party in a private room at Bella Tori. The best most tender steak I have had in many years. 16 oz rib eye was delicious and extremely tender. I have been here several times over the years. Many of my friends have dined here and think very highly of it. I cannot warm up to the place. My food has always been just OK, but something I can prepare better at home. When I go out for a meal, I expect better. Unfortunately, I am always somewhat disappointed. Oh, well. We went with another couple they were so impressed with food,service and atmosphere. 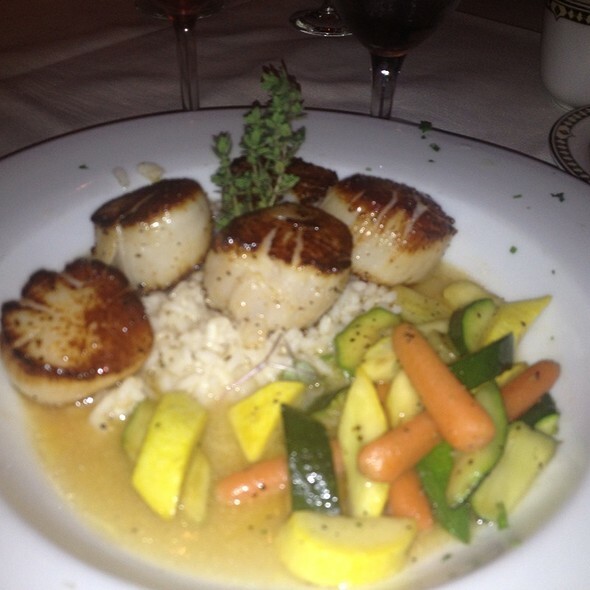 Our meals were so delicious we can not wait to dine here again! We came for Sunday brunch with an old friend. Noisy. Omelet was good (chef needed a western omelet explained), but a little skimpy. Guess I should have/could have ordered two. Nice variety of foods. Bagel very good. Fruit nice and plentiful. Desserts wonderful. Coffee OK but got cold quickly - not sure about glass mugs. Our terminally skinny guest seemed happy with the food. Did I mention that it was noisy? Thank you for joining us for Brunch, as you mentioned this is one of our busiest days of the week and sells out most Sundays. Our style of brunch (buffet) suits our clientele perfectly as you can have as little or as much of any item, which includes an antipasta station as well as dessert station, breakfast and lunch items. We get many compliments on our coffee, our staff is there to ensure a great experience, request a fresh mug and we'll be happy to make sure your coffee is always hot. The food is always good. Menu changes several times a year. A great place to celebrate anything. We LOVE Bella Tori--especially on Friday nights! A classical guitarist entertains with soft beautiful music. You may bring your own bottle of wine with no corkage fee. 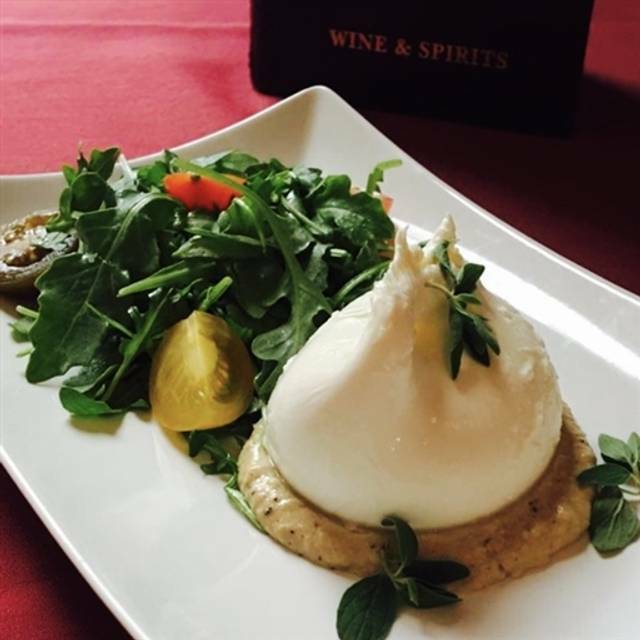 They offer a 3-course prix fix menu with many delicious options to choose from. Of course, you may also order from the regular menu that changes by the season. There is a Sunday brunch that is always packed, but we prefer a Friday evening. It can't be beat for atmosphere, food and value. Thank you for taking the time to review us, glad you enjoyed your evening and hope to see you again soon!